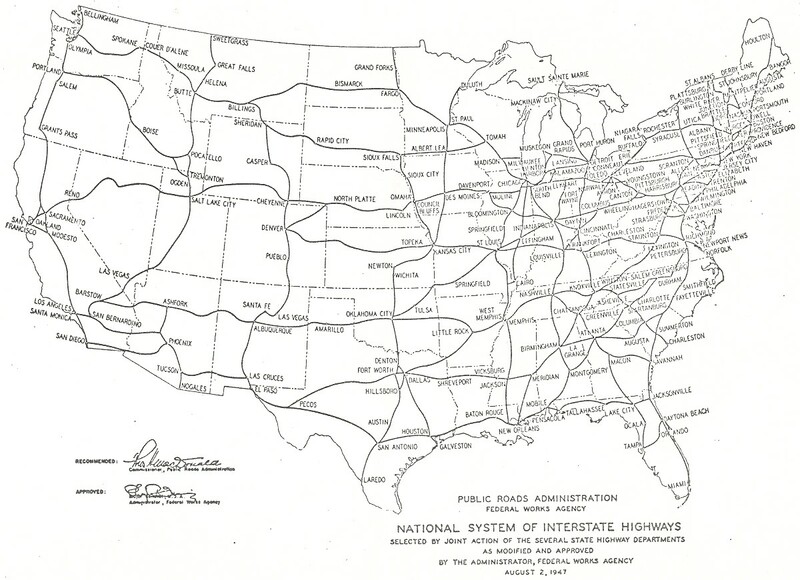 Above is an excerpt from the government’s 1947 plan to build the US Interstates. The map closely approximates the highways as they were actually built years later... with one major exception. 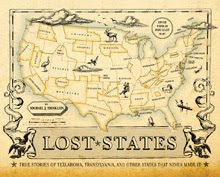 This map has no interstate heading west from Denver. It’s not a mistake. In 1947, most highway engineers couldn’t imagine building a freeway west from Denver, because that’s where the Rocky Mountains begin. Back then (and now) roads were built around mountains... or through mountain passes. 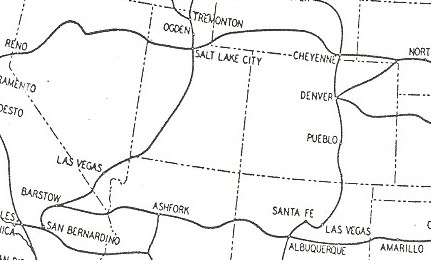 But west of Denver, the Rockies present a massive wall-like front. An Interstate would be ridiculously expensive and complicated to build. Case closed, right? Nope. When Colorado lawmakers saw the map, the went apoplectic. To them, extending I-70 west of Denver was a key to economic growth. Mountain highways mean ski resorts, and ski resorts make lots of money. After the tantrum, Colorado’s politicians got their way—I-70 was built, and America got better access to Vail.